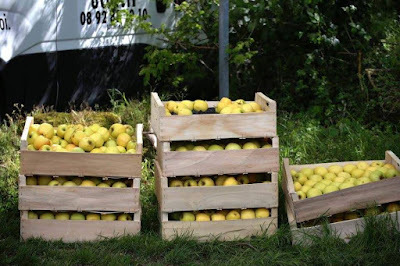 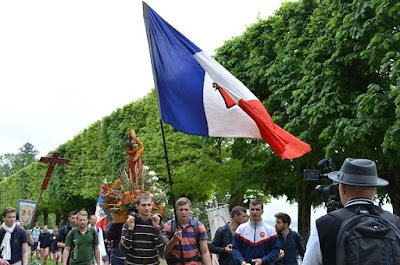 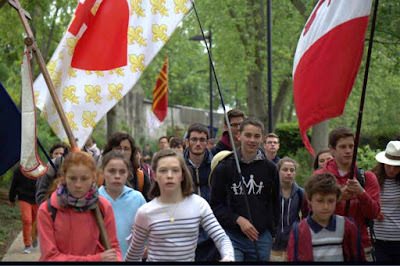 Our founder and long-time editor Shawn Tribe happened to mention in foro privato that one of his favorite things to write about during his many years at NLM was the famous Notre-Dame de Chrétienté pilgrimage, which takes place every year at Pentecost. 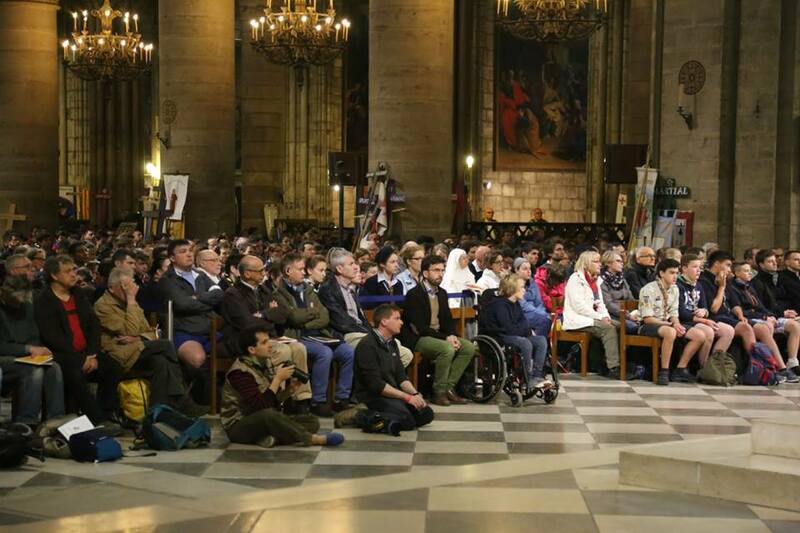 We are very glad indeed to welcome him back for a bit of commentary on some photos of the pilgrimage, which are here reproduced by the kind permission of the organizers from the Notre-Dame de Chrétienté facebook page. Notre-Dame de Chrétienté’s annual Pentecost Pilgrimage to Chartres (Pèlerinage de Pentecôte) is, by now, world famous, drawing to its ranks pilgrims from all over the world. 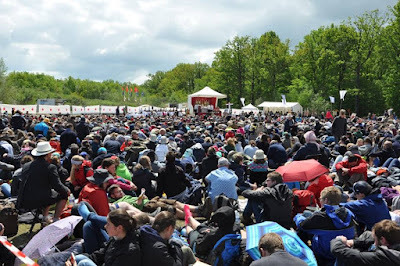 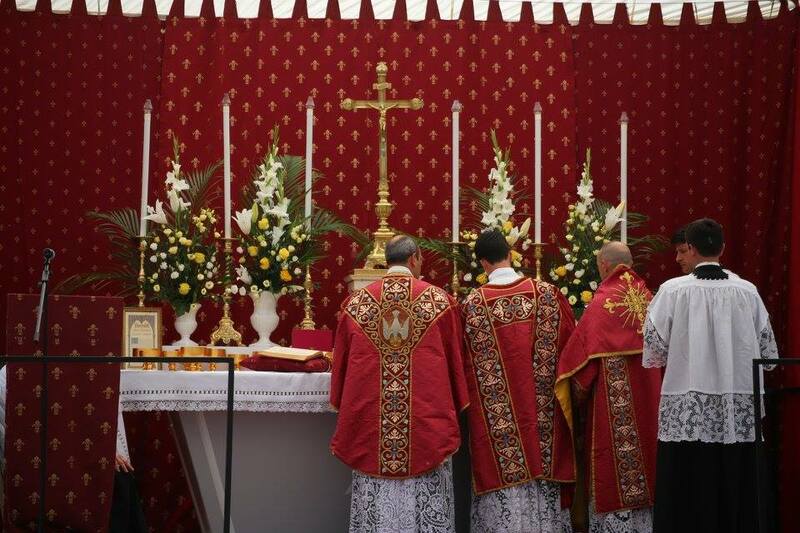 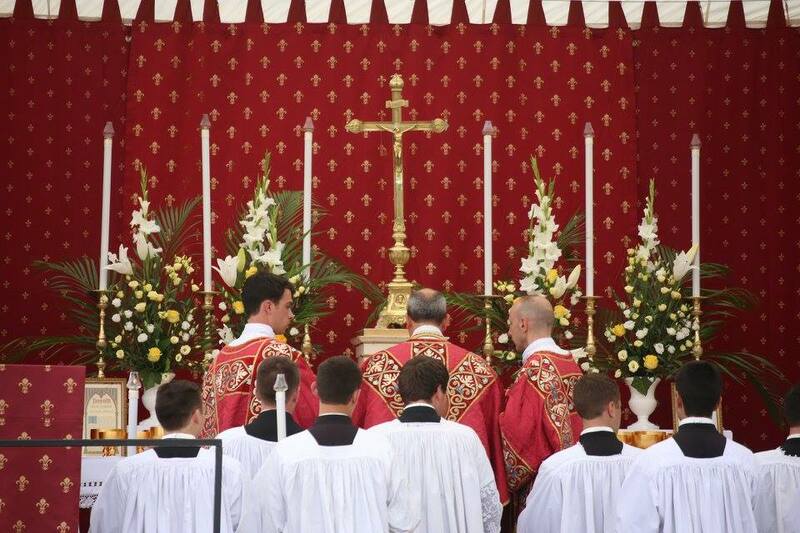 It is a pilgrimage that has become synonymous with Catholic tradition, the usus antiquior, Catholic France, the Blessed Virgin Mary and, last but certainly not least, the Solemnity of Pentecost itself. It is a pilgrimage with many aspects of interest, some of which I will attempt to share here today. 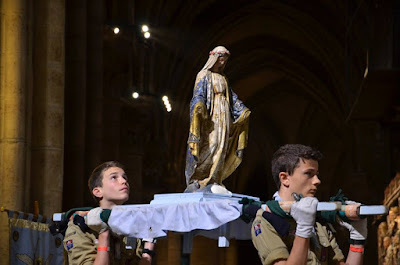 It brings to life the youthfulness of this movement for tradition; one cannot but note just how many of the pilgrims are young men and women -- and not simply young men and women that, we might jadedly surmise, were begrudgingly toted along by their parents, but also young adults in their 20’s and early 30’s. Among these youth are cadres of Scouts in the colourful uniforms distinctive of their particular troupes. 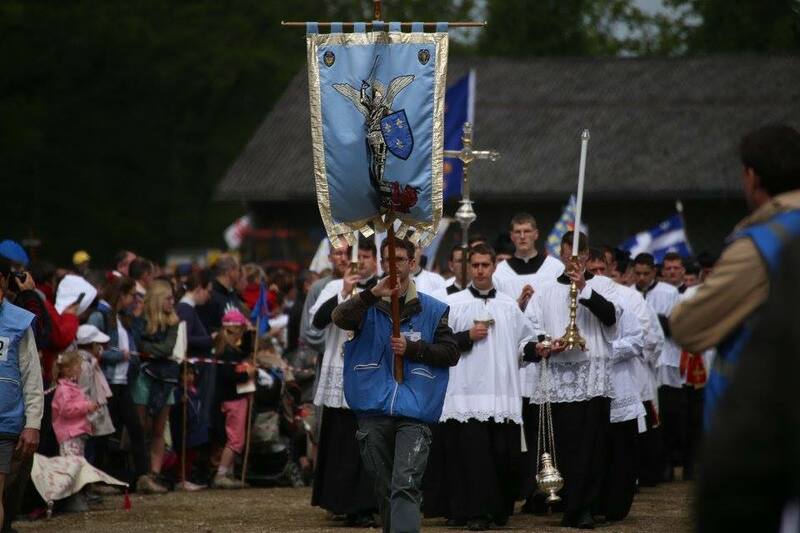 As we look beyond the youth, one will note the many religious orders also present as pilgrims, wearing their distinctive habits -- a sight for sore eyes for many, their presence brings a certain air of monastic serenity and calm. 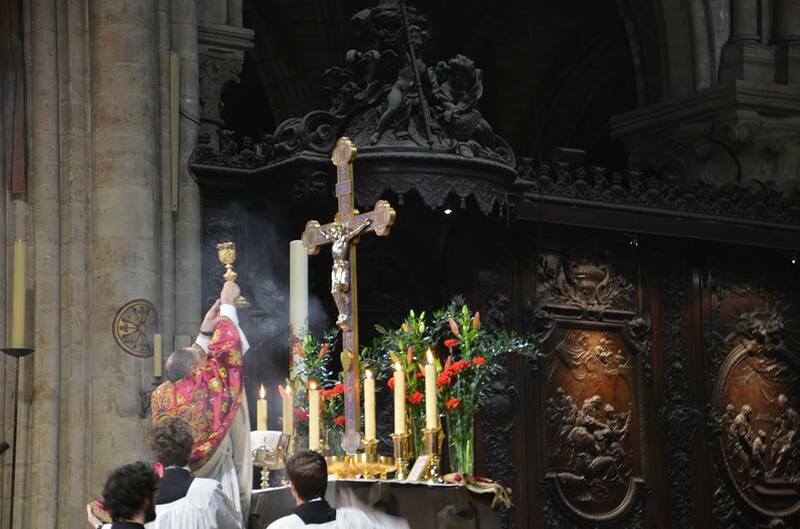 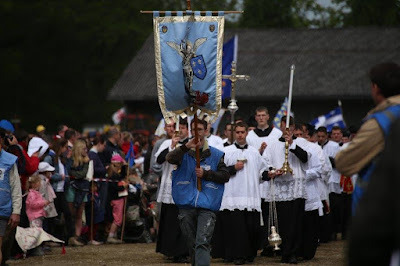 There are the surpliced clerics, toting their breviaries along the way, and there are of course the flags and processional banners with their brilliant colours and beautiful Christian symbols. 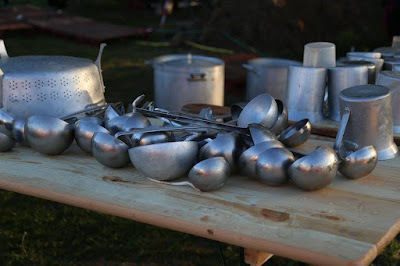 Then there are the liturgies; solemn liturgies set from the stage of two of the great temples of mediaeval Christendom, as well as from a humble, but nobly appointed, roadside tent halfway between. 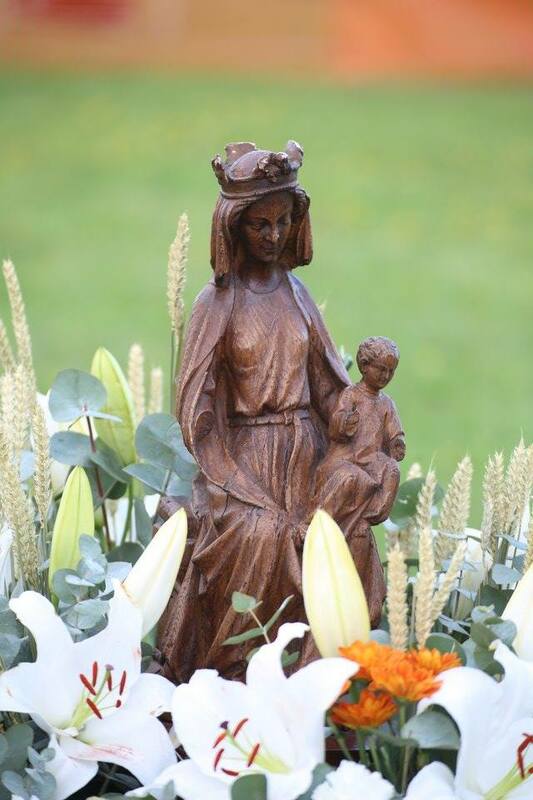 There are the statues carried in procession, there are the splendid arrangements of cut flowers sitting upon the altars amidst the incense and beeswax candles, echoes of the wildflowers found in the fields along the pilgrims’ way. There are noble silken vestments on the one hand, and there are muddied cassocks and bandaged feet on the other. 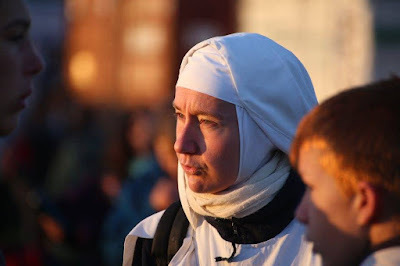 There are aspects of high culture and there are aspects of monastic culture as found in simple foods offered, such as apples, soup and bread. 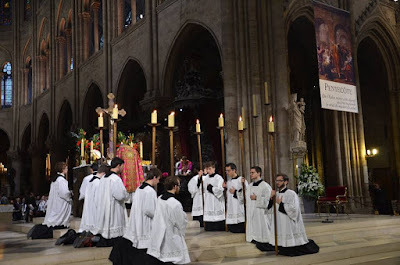 The entirety of the event embodies, I think, the noble inheritance and tradition of Christian Europe in so many ways, and also embodies ambitions toward a resurgence of the same. 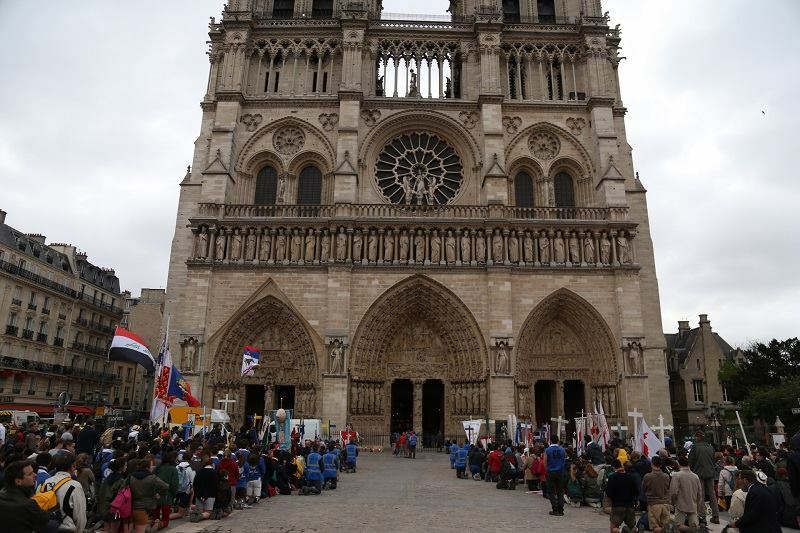 There is an “air” and authenticity to the event which words itself cannot adequately describe or measure, and I think its interest can extend to anyone who sees any value in the inheritance of Western Civilization. 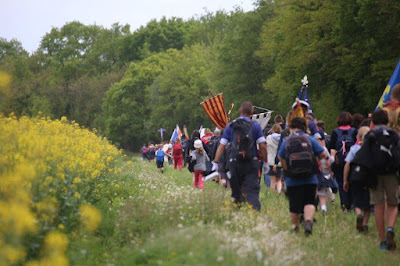 The Chartres Pilgrimage is truly one of those unique events of our time that not only merits attention, I think it demands it.